This article presents a review of Addasil. This product claims to treat the symptoms associated with ADHD and ADD in both children and adults. It calms hypersensitivity, aids in normal brain development, increases concentration, promotes focus, improves memory, protects adrenal glands, regulates blood sugar, and supports the activities of nerves. Read further and learn more about this product. Gamma-Aminobutyric Acid- helps to overcome overactive nerves and enhance ADHD and ADD symptoms. DMAE- works with other ingredients to raise acetylcholine levels. Phospholipids- offers structural support to neurons. Taurine- responsible for regulating nerves and treating some disorders such as hypersensitivity, seizures, and anxiety. Calcium-helps to balance phosphorous levels in persons with ADHD and ADD. Magnesium –fulfills the same functions as calcium. Chromium polynicotinate – normalizes the levels of sugar in the blood. Proprietary blend- includes fruits and vegetables. They restore nutrient deficiencies related to ADHD. Fatty Acids- contribute to normal brain development. All B vitamins play significant roles in improving nerve functions, maintaining normal brain function, connecting memory with learning, enhancing mental attitude, glands, and providing energy to persons with ADHD and ADD. Children under 40lbs should take 0.5 oz every day. Users weighing between 40 and 100 lbs should take 0.5 oz in the morning and 0.5 oz after midday. Persons weighing between 100 and 200 lbs should take 1 oz in the morning and 0.5 oz after midday. Adults above 200 lbs should take 1 oz in the morning and 1 oz after midday. NB: One ounce is equal to two teaspoons. Some ingredients such as vitamin C and Magnesium may cause diarrhea. DMAE may also contribute to hypomania and depression. Vitamin B12 is associated with insomnia, chest pain, rashes, anxiety, and heart palpitations. These side effects might cause users to discontinue using the product. One bottle of Addasil (32 oz) costs $34.95 while a twin pack costs $67.90. A triple pack of the product costs $98.86. This seems to be a reasonable price based on the price of related products in the market. Judging by the price there is a low chance that the price of the product will cause users to raise quality concerns. For adult users weighing over 200 lbs, a bottle of Addasil lasts for 2 weeks meaning that adults who purchase one bottle have to incur double the price for a monthly dose. Addasil comes with a 90-day unconditional satisfaction guarantee. It is also captivating to see several success stories from persons who have used this product. Satisfied customers and a satisfaction guarantee signify that Addasil is a reliable product. 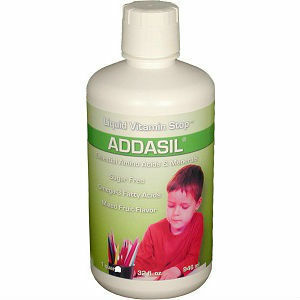 Addasil is an appropriate product especially for persons suffering from ADHD and ADD. Its benefits include a strong formulation of natural ingredients that can treat most of the symptoms of ADHD and ADD. Furthermore, the manufacturer provides a satisfaction guarantee, which increases the trust of potential users towards the product. However, users may raise concerns about the many side effects associated with some of the ingredients used to make the product. Such side effects may cause users to stop using the product. Furthermore, adults who can only afford one bottle at a time have to keep on purchasing the product every two weeks. Henry Costa	reviewed Addasil	on June 14th	 and gave it a rating of 4.